Journalists are on the frontline of the ‘f*ke news’ wars. As truth becomes a casualty of disinformation campaigns designed to disrupt democracies and pull down the shutters on open societies around the world, journalists must defend freedom of expression and the public’s right to know. And increasingly, they’re becoming targets of orchestrated, state-sponsored disinformation campaigns, meaning they must also fight to defend themselves against attacks being underwritten by despots, dictators, and populists. 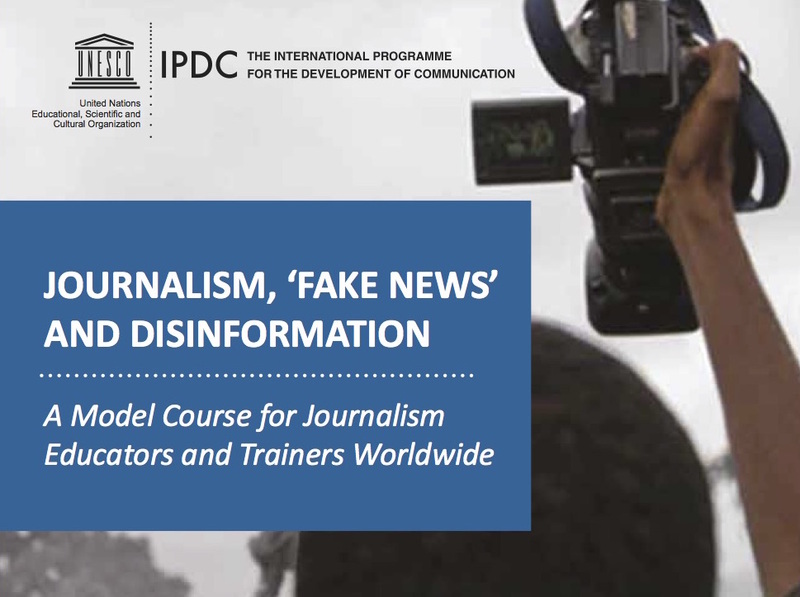 It’s in this context that UNESCO (the UN body carrying responsibility for media freedom work) commissioned a new book ‘Journalism, ‘Fake News’ and Disinformation’ which will be published later this month. I edited this book with World Editors Forum Executive Director Cherilyn Ireton. Our mission: to empower journalists and others who publish verifiable information in the public interest with the holistic understanding of the complex problem described by contributing authors Claire Wardle (First Draft News) and Hossein Derakhshan (Shorenstein Center) as ‘information disorder’, along with the practical skills necessary to fightback. Other leading experts in the field who contributed to the book include Alexios Mantzalis (who runs Poynter’s International Fact Checking Network), Tom Trewinnard (Meedan), Fergus Bell (Dig Deeper), Magda Abu-Fadil (Media Unlimited), Tom Law (Ethical Journalism Network) and Australian journalist Alice Matthews (ABC). The book examines the weaponisation of ‘f*ke news’ as a term to discredit journalism, and sets out an alternative framework, covering disinformation and misinformation, ‘malinformation’ and emotive propaganda. The content is contextual, theoretical and in the case of digital verification, extremely practical. It will be published in full later this month by UNESCO but we previewed it today during a conversation on the key themes at the World News Congress in Portugal. Information is the engine of development in the 20th and 21st century and it’s a key ingredient of accountability journalism. It’s fuelled by independent news media that can act as trusted guardians of the public interest, and as an essential element of society’s checks and balances on power. But recent developments have placed journalism in the direct line of fire in the ‘disinformation wars’. Political, technological, economic and social transformations are inexorably reshaping the communications landscape and raising many questions about the quality, impact and credibility of journalism. In addition, the information ecology is being contaminated by orchestrated campaigns, increasingly sponsored by State actors, to spread untruths via disinformation. This disruption is accompanied by manipulation of half-truths via ‘malinformation’, and by the unwitting sharing of misinformation. The newest and most dangerous Disinformation Era trend identified in the book is the weaponisation of the gendered online harassment of women journalists as a tool in State-sponsored disinformation campaigns. This was a problem first mapped in connection with strongman politics in Duterte’s Philippines, where the news organisation Rappler and its predominantly female-led newsroom are enduring unrelenting, sexualised attacks. 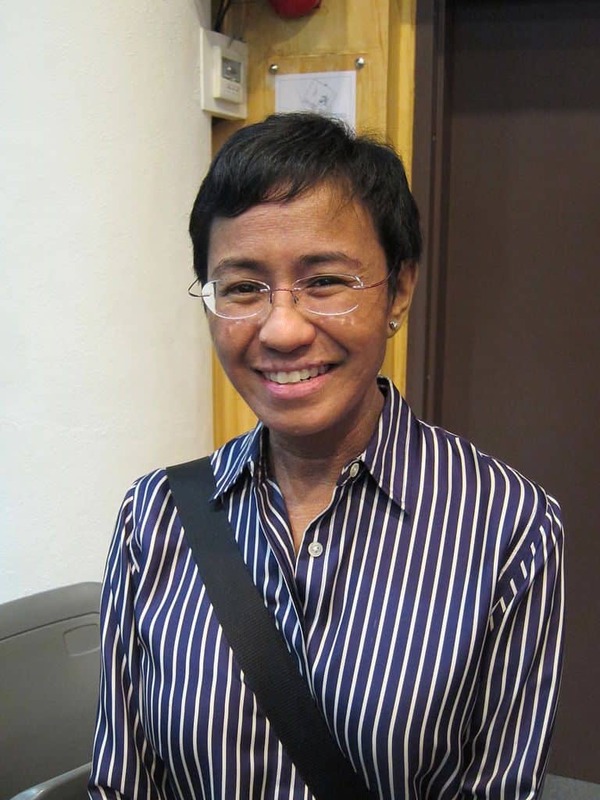 Executive Editor and CEO Maria Ressa was this week awarded WAN-IFRA’s Golden Pen of Freedom for her brave fightback against this scourge. Other related case studies featured in the book include the targeting of Ferial Haffajee in Zuma’s South Africa, and Rana Ayyub in Modi’s India. Finding ways through these contemporary information challenges is of utmost importance for journalists – but more broadly it’s fundamental to the maintenance of open societies, accountable governments, Internet companies (especially the social platforms), educators, NGOs, and human rights defenders. 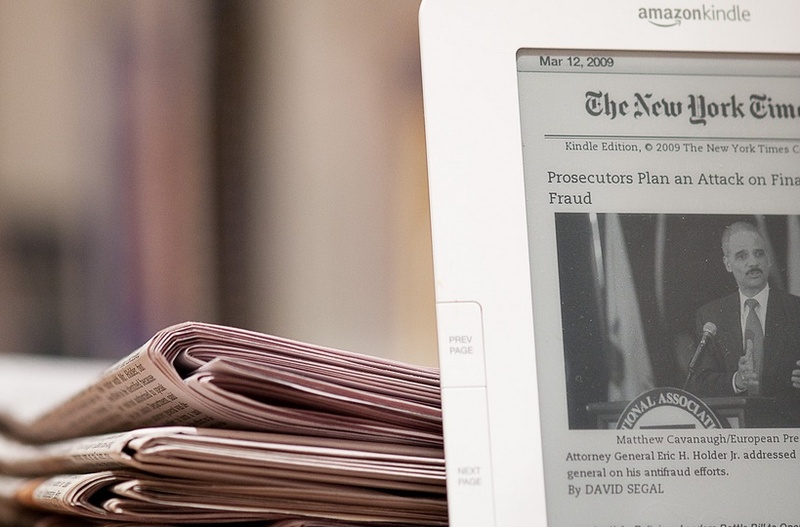 While some governments are seeking to tackle the problems of the ‘f*ke news’ crisis through regulation, it is unlikely that this can resolve the problem at scale. Moreover, it carries major risks of abuse, where legitimate freedom of expression and authentic journalism can become subject to new censorship by a ‘Ministry of Truth’. 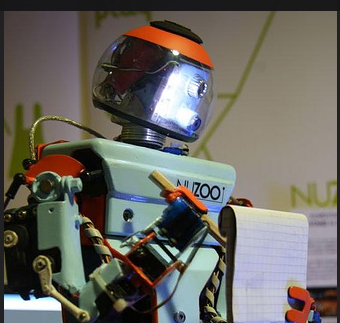 Another response comes from companies seeking technological solutions, which may mitigate and flag some problems. These steps, too, carry their own risks – especially if left only to algorithms. Technical measures should never exclude humans with responsibility for assessing and curating information based on clear and transparent editorial policies, informed by international standards on rights to free expression, association, privacy and redress options. Finding ways through these contemporary information challenges is of utmost importance for journalists – but more broadly its fundamental to the maintenance of open societies. Attention is also being given to making audiences more discriminating and resilient, through empowering them with critical Media and Information Literacy competencies. These steps are also part of the solution, although they are generally of a medium-term nature. For journalists, journalism students, and journalism educators it is mission-critical to understand the nature and magnitude of the threats and have a holistic view of the attempts to counter them. This book, which will find practical application as a UNESCO model curriculum, provides a research-based framework for inquiry, and lessons to help navigate the increasingly murky information environment. It sets out how media actors need understand that their best contribution is by exemplary journalistic practice that serves as a highly valued and credible alternative to corrupted information. This means doubling down on verification and ethical journalism produced in the public interest, and learning new skills to deal with emerging threats like ‘deep fakes’. It also shows that journalists need to ramp up their coverage of disinformation actors, even outside of election periods. Further, that journalists can partner with others, including communities, in combating pollution of the information environment. ‘Journalists need new skills to cover new issues, and disinformation is a very current topic where a model curriculum or training manual can be very useful,’ Guy Berger, UNESCO director for freedom of expression and media development, said in Portugal today. You might also be interested in Working With Whistleblowers In The Digital Age: New Guidelines.